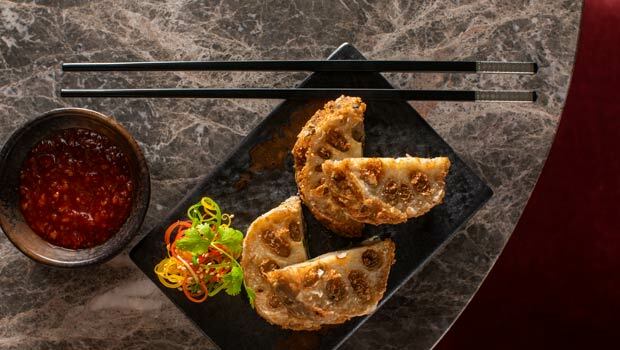 When about a year back, Andaz Delhi came up with a lounge specialising in Cantonese food, the expectations were towering high. After all, Andaz’s first outing in AnnaMaya had already struck a chord with foodies who loved the delicious, clean and locally sourced food that was on offer. The Hong Kong Club at Andaz, Delhi has been equally successful at finding a loyal fanbase among authentic Cantonese food lovers. And if you have haven’t had the chance to visit this trending hotspot as yet, Hong Kong Club’s sumptuous new tasting menu may be the motivation you have been looking for all this while! While Delhi has no dearth of options or accessibility to Chinese food, an authentic Cantonese fair is a rare deal. The extensive range of captivating cocktails and liquers, further elevate the dining experience at this exclusive restaurant. Cantonese cuisine refers to the cuisine popular in China’s Guangdong Province, particularly the provincial capital, Guangzhou. 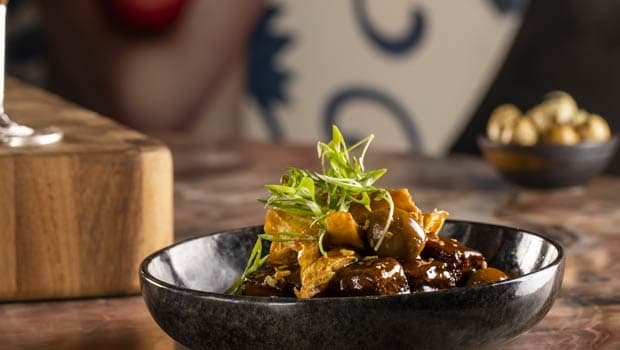 The eclectic blend of sauces, balance of cold and dry ingredients and soothing consistency of soups and wok-fried dishes make Cantonese cuisine a gastronomic showstopper of sorts in the gourmet space. The Hong Kong Club, promises to take you on an authentic and flavourful ride through the streets of Guangzhou and offer you some of the best dim sums like the crystal dumplings made with the goodness of cauliflower, red and chinese cabbage or the delicious prawns, asparagus and crispy garlic dumplings. Bao lovers can enjoy a toothsome spread of classic barbequed pork and chicken bao, or the mixed mushroom and oyster sauce bao. Then there’s a range of crispy fried, boiled and lotus leaf wrapped dumplings to leave you further spoiled for choices. The hot and cold appetizers made with the locally grown veggies makes for a scrumptious treat too! From asparagus, home cured cucumber, spinach, endives, pomello, scallions, shallots and a lot more fresh and crunchy delights are tossed in a variety of sauces is sure to leave your taste buds tingling long after you have left. Those looking for authentic Cantonese soup are in for a treat too! Clear mushroom broth with Kashmiri morels wonton, seafood hot and sour soup with prawns and squid lobster and hand-pulled noodle soup, chicken broth with vegetable and crispy shallots are some of the soothing treats on offer. Barbeque Hong Kong duck, pork belly, wok fried bamboo red rice, Cantonese sweet and sour prawns, lobster, chicken and crispy noodle fungus with shitake mushrooms are some of the other exciting dishes of the new menu that looks oh-so-interesting to miss!